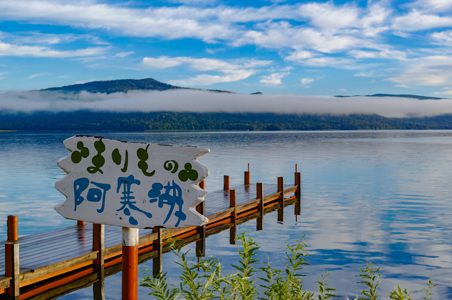 Located in Eastern Hokkaido and encompassing the Kushiro Shitsugen Wetland, Lake Akan and Lake Mashu, the Mizu no Kamuy Tourism Area is filled with vast and beautiful natural landscapes. ‘Mizu no’ refers to the abundant water that nourishes the land, emphasizing the importance of living in harmony with nature, whereas ‘Kamuy’ (an Ainu word meaning ‘god’) reflects the belief of the indigenous Ainu people that gods live in all things, a philosophy that is still alive today. 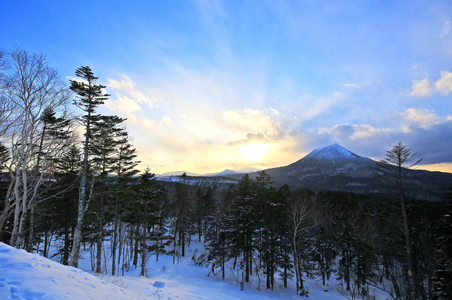 There are two national parks in the Mizu no Kamuy Tourism Area: Kushiro Shitsugen and Akan Mashu. 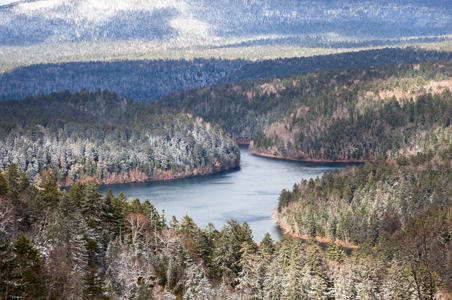 Both are home to invaluable ecosystems and unspoiled landscapes that have been protected by local people for many years. 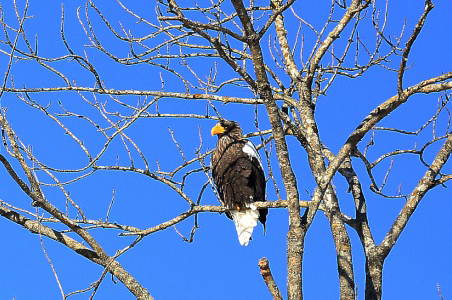 The Kushiro Shitsugen Wetland, Lake Akan and Lake Mashu lie at the respective centers of the two parks, captivating visitors with their many different faces throughout the seasons. In the Edo Period (1603-1868), when Hokkaido was known as Yezo Province, Kushiro was called Kusuri by the indigenous Ainu people. Theories about the origin of this name vary, with some saying that it means “the road beyond” and others saying that it means “base of the throat”. 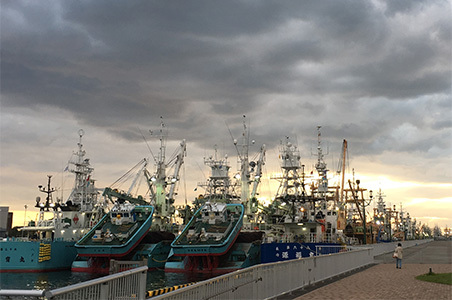 Kushiro’s history as a town began when the Matsumae clan opened the Kusuri trade base. The area flourished as a point of trade with the Ainu people, as well as a fishing base and a transportation hub. 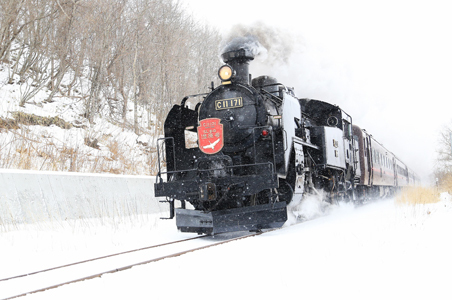 The name of the town was changed from Kusuri to Kushiro in the Meiji Period (1868-1912). In the Taisho Period (1912-1926), a coal industry sprang up in Kushiro, which became one of Japan’s largest mining areas until the Showa period (1926-1989). 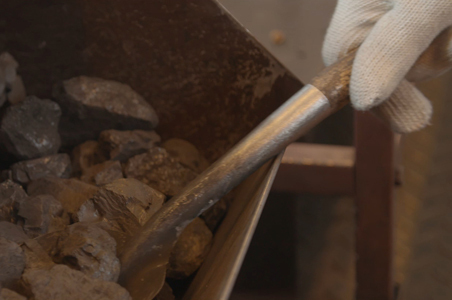 While the coal industry has now declined, Kushiro is now the only active underground coal mining area in Japan. 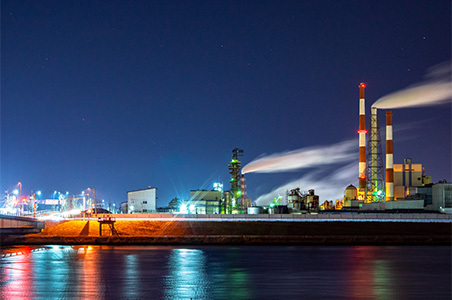 With various thriving industries, Kushiro remains one of eastern Hokkaido’s industrial and transport hubs. 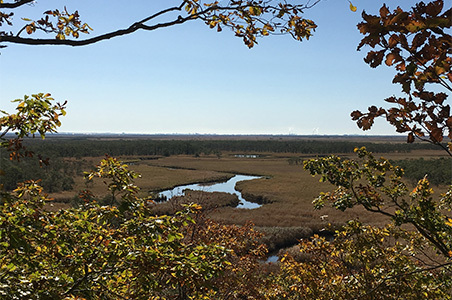 The Kushiro Shitsugen Wetland is the largest wetland in Japan. It was formed around 4000 years ago, when sand washed in and closed off the bay. Earth, sand and peat gathered while the waters gradually withdrew, forming the wetland we see today. 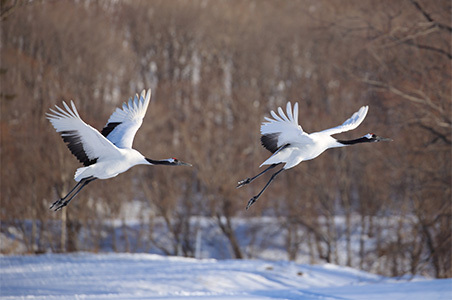 It is a source of life for a diverse ecosystem unlike almost any other in the world, and is a breeding ground for the red-crowned crane, a Special Natural Monument of Japan. 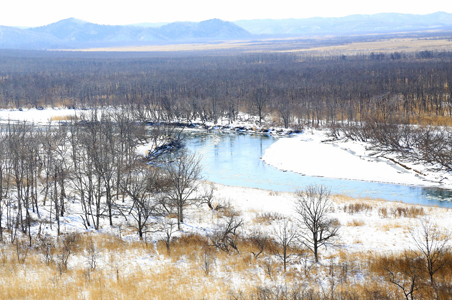 Located next to the Akan River, the original Ainu kotan (settlement) of Akan appeared in the diary of explorer Takeshiro Matsuura around 160 years ago. The villages in the Akan area were named Shitakara, Teshibetsu and Soshi during the development carried out by the new government in the Meiji Period (1868-1912). A town office was opened in Tsurui Village in 1887 to govern the Akan area. In 1906, Masana Maeda named his land Ippoen and used it as a base for his work on development in the Akan area. He dedicated himself to building roads, schools and a variety of other facilities, all funded with his own money. 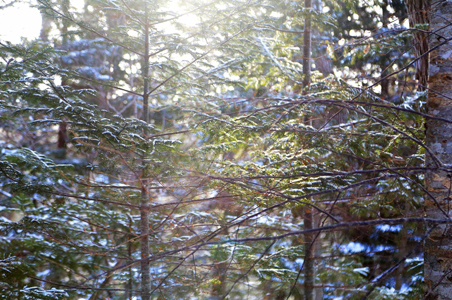 Later, the Maeda family worked on nature preservation and welfare initiatives. Mitsuko Maeda, a member of the third generation of Maedas working on the project, gave some of her land to Ainu livelihood and education efforts, and an Ainu settlement was built there. The area is now a center for folk crafts, traditional dancing and a marimo moss ball festival, driving tourism in the Akan area. 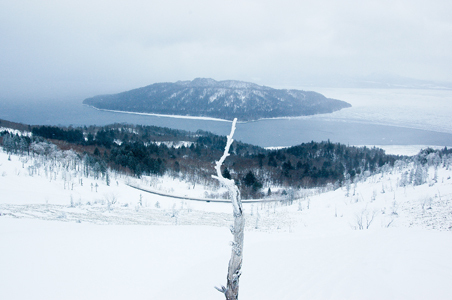 Lake Akan is a freshwater lake and one of eastern Hokkaido’s top tourist destinations. 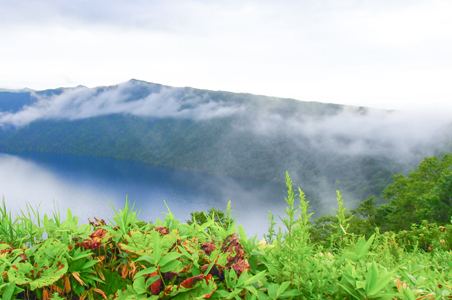 The lake fills a vast caldera that was formed by a ferocious eruption long ago. The diversity of its flora and fauna is a marvel to behold. 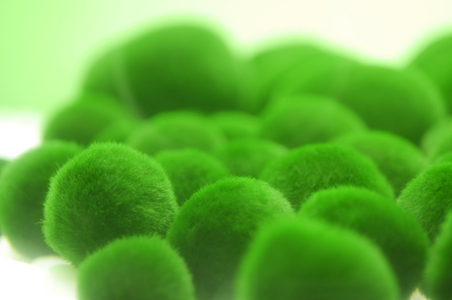 The most famous is its marimo moss balls – Lake Akan is the only place where it grows, due to a miraculous combination of topography, forest, the flow of water created by the wind and waves, and the properties of the bottom of the lake. The marimo in Lake Akan was designated as a Special Natural Monument on March 29, 1952. 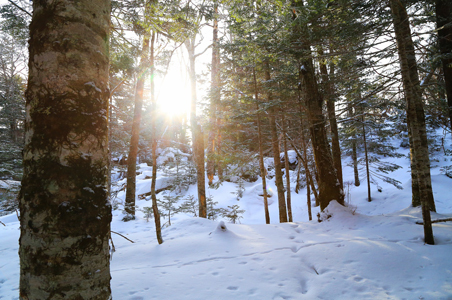 When Takeshiro Matsuura, the explorer who named Hokkaido, arrived in Teshikaga 160 years ago, it was a large primeval forest area with only a few indigenous Ainu people living there. In the Meiji Period (1868-1912), Mt. 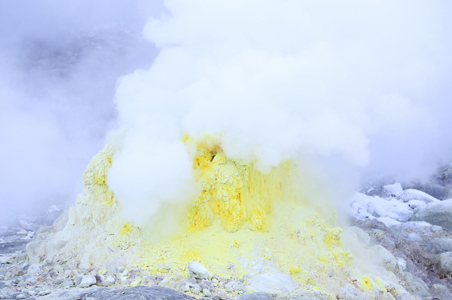 Io began to be mined for sulfur, resulting in modernization of the area. 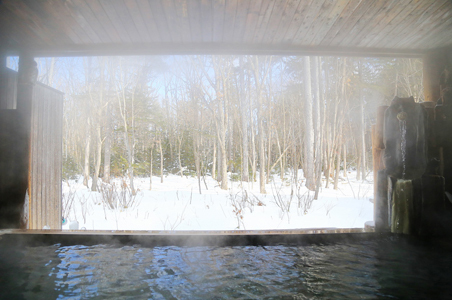 Hot spring resorts were also opened, launching Teshikaga’s tourism industry. After the sulfur mining was discontinued, Teshikaga developed as a grain and livestock farming area under the guidance of Eizaburo Odagiri. 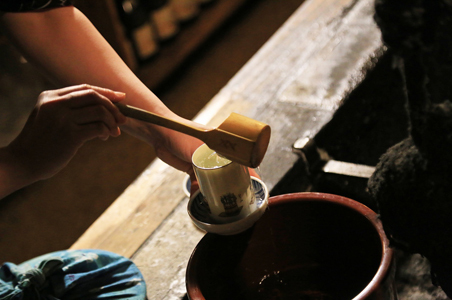 This was how eastern Hokkaido came to become the prominent dairy farming region that it is today. 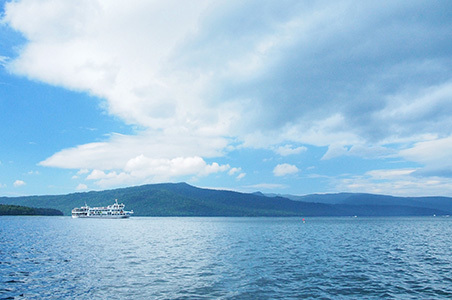 Today, Teshikaga remains a natural paradise, with features such as Lake Mashu, Lake Kussharo and Mt. 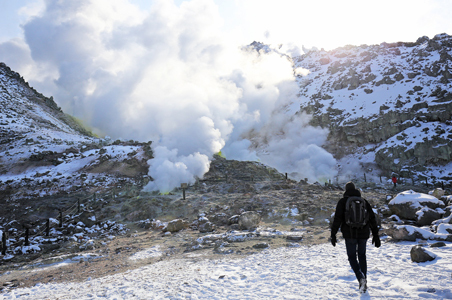 Io, while also attracting many tourists with its flourishing hot spring resorts and farming industry. Lake Mashu is one of the clearest lakes in the world, and is around 7000 years old. A massive eruption of Mt. Mashu caused the ground to cave in, which formed the Mashu caldera. The caldera then filled with water, creating Lake Mashu. 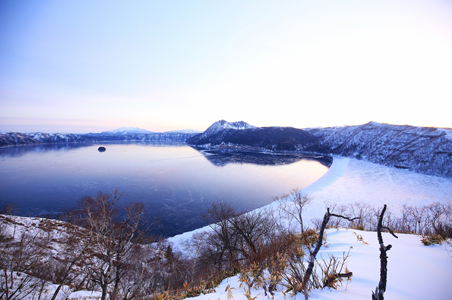 Surrounded by four steep cliffs, the peaceful lake has a deep, clear blue that is so distinctive that it has been dubbed “Mashu blue”.